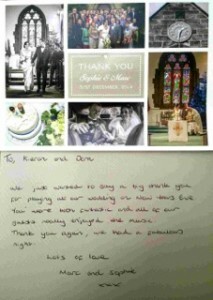 There is nothing more rewarding than hearing back from Bride and Grooms after their wedding. 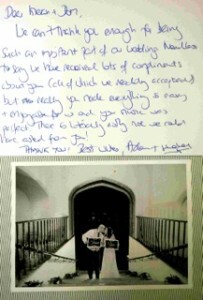 To know that we have contributed, to what is considered to be one of the most special days of someones life, is the definition of job satisfaction! 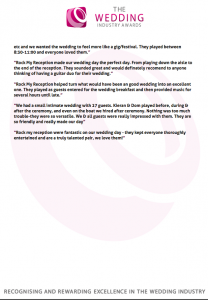 One of the most rewarding parts of winning The Wedding Industry Awards is seeing our voter comments. 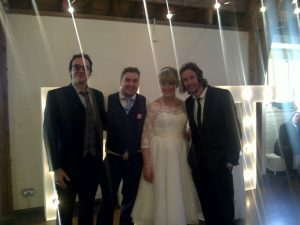 All the votes were cast by previous brides and grooms. 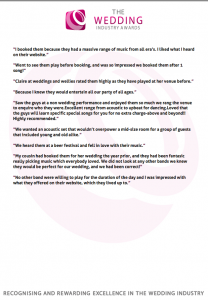 They are great as validated testimonials. 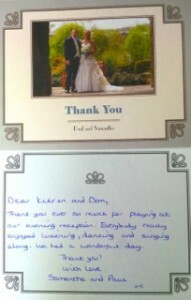 "Kieran and Dominic were brilliant at our wedding in Dubrovnik. 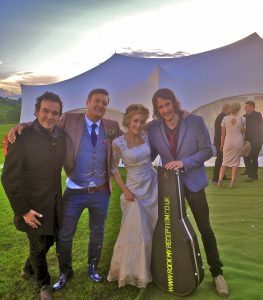 Both are great musicians and were able to cover all parts of the day from acoustic background music during the day to dance floor fillers in the evening. 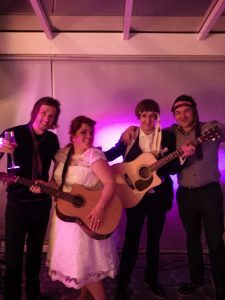 It seemed no song couldn’t be requested. 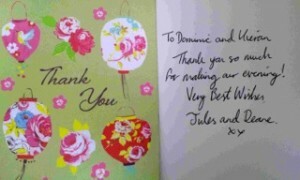 The guests loved them and we had plenty of positive comments. 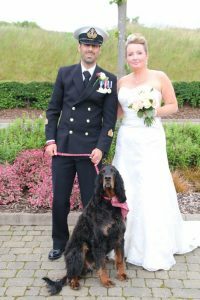 "We booked Rock My Reception for our wedding in Dubrovnik at Hotel Croatia in Cavtat. 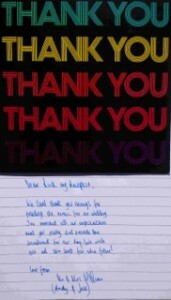 They went above and beyond to make our day perfect. 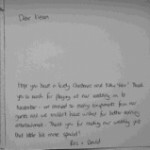 They played songs for the kids that had made the trip over, including a rendition of Postman Pat!! 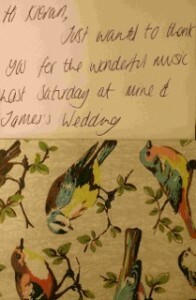 My Grandparents who joined us via FaceTime even requested a song which the boys played! 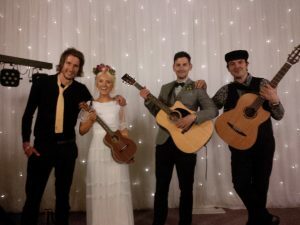 They are the most friendly and genuine people we could have met and are so pleased we booked them for our wedding day"
"Kieran and Dominic performed and DJ'ed at our wedding in Spain. 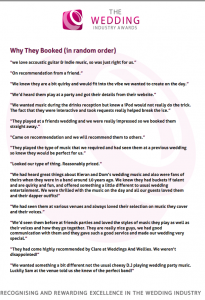 We knew as soon as we had booked them that they would deliver! 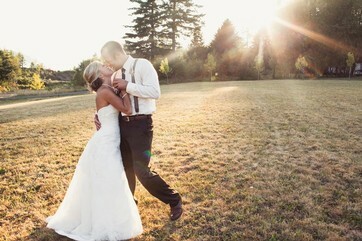 They offered video meetings before the wedding, which really gave us peace of mind when booking suppliers for abroad. 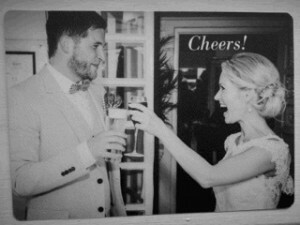 Nothing was too much during the run up to the wedding day. 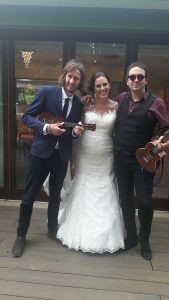 On the wedding they took requests and all our guests commented on how sound they both are. 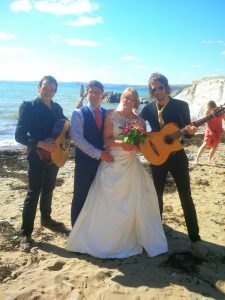 Thanks Kieran and Dom for all your hard work,making booking music abroad seem easy, and truly been the soundtrack to our wedding!!!!" 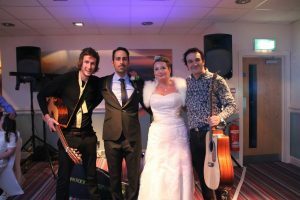 “Rock my reception were fantastic on our wedding day - they kept everyone thoroughly entertained and are a truly talented pair, we love them!